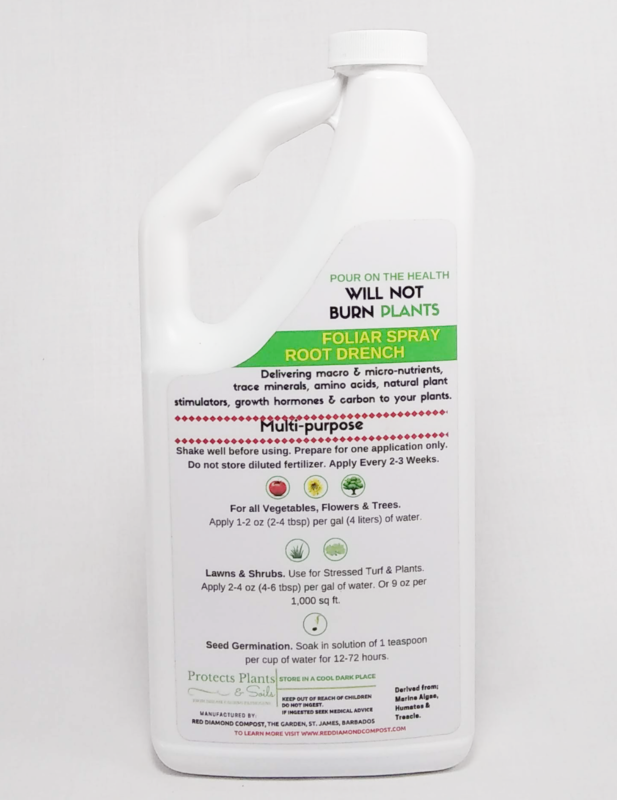 carbon to your plants in a fast acting concentrated liquid solution. Makes up to 120 litres. 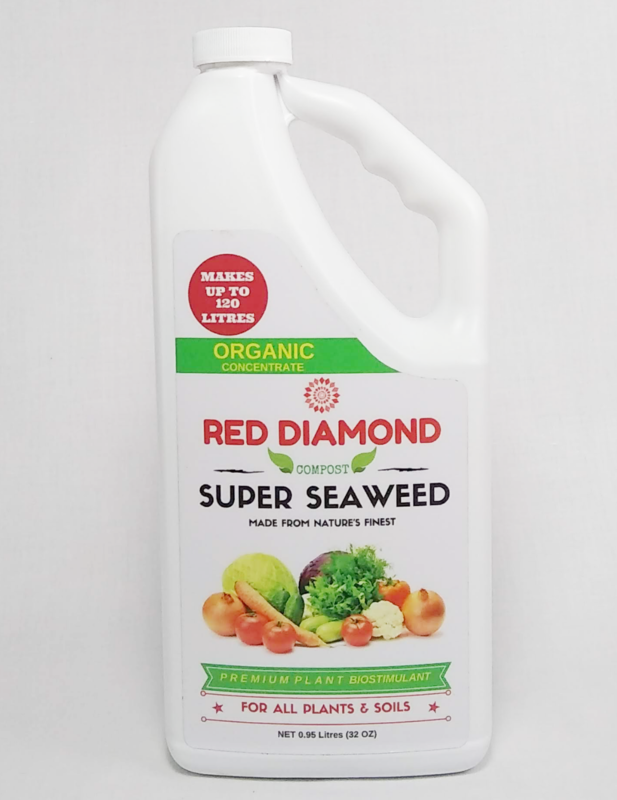 Red Diamond's Super Seaweed Bio Stimulant won't only super charge plant and root growth, but will also boost your plants natural immune system, improve colour and overall appearance, increase nutrient uptake, and will stimulate soil microbial activity. Resulting in tastier produce and plants that will be more resilient against stresses, pests and diseases. Use for all vegetables, flowers, trees, shrubs, lawns and for seed germination as well.